PLEASE TAKE NOTICE: Google Maps and other navigation systems will sometimes direct people in error to a different Main Street in a neighboring community. Please make sure that you are going to the Village of Batavia off Ohio State Route 32. Do not blindly follow your GPS or Google Maps because of the risk of delay and inconvenience. You may wish to verify your route with other sources online or on paper. From Dayton, Columbus, northern suburbs of Cincinnati, or Northern Kentucky—Take I-275 to the State Route 32 exit (Eastgate, Exit number 63), take State Route 32 Eastbound to Batavia. Exit from State Route 32 at the Batavia exit at bottom of the large hill and bear right. Follow West Main Street under the railroad bridge, across the river and past the traffic light at State Routes 222 and 132 to East Main Street in Batavia. The Courthouse is ahead on the left, at the next traffic light, 270 East Main Street. From eastern Clermont County—Take State Route 32 westbound to the exit for State Routes 222 and 132. Turn left at the bottom of the ramp on State Route 132. At the next traffic light, turn left on State Routes 222 and 132. Follow that road (North Riverside Drive) to Main Street in Batavia. Turn left at the light at the UDF/Mobil station on to East Main Street. The Courthouse is on the left at the next traffic light, 270 East Main Street. 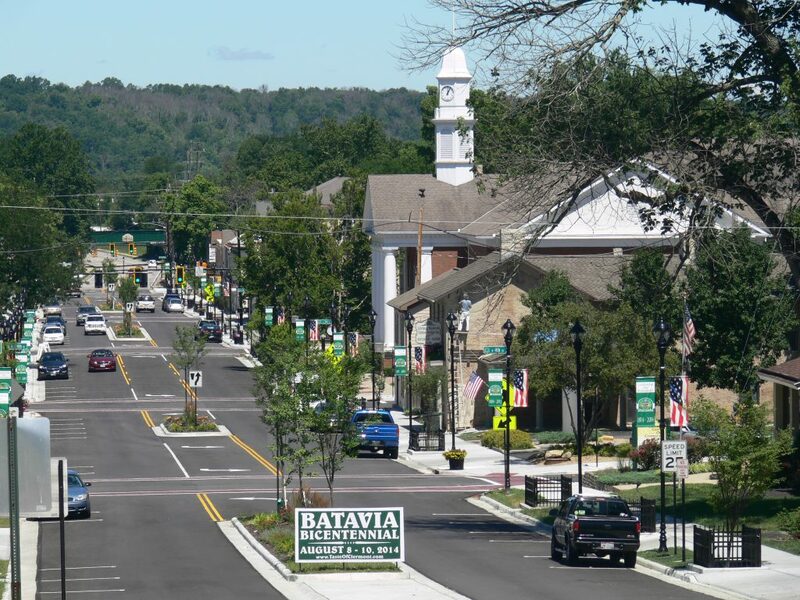 From southern Clermont County—Take State Route 222 north to the Village of Batavia. Turn right on East Main Street at the UDF/Mobil station. The Courthouse is on the left at the next traffic light, 270 East Main Street. From northeastern Clermont County—Take State Route 50 to Owensville. Turn left on State Routes 276 and 132. Bear left where the routes split and take State Route 132 south to the intersection with State Route 222. Turn left and follow that road (North Riverside Drive) to Main Street in Batavia. Turn left at the light at the UDF/Mobil station on to East Main Street. The Courthouse is on the left at the next traffic light, 270 East Main Street.